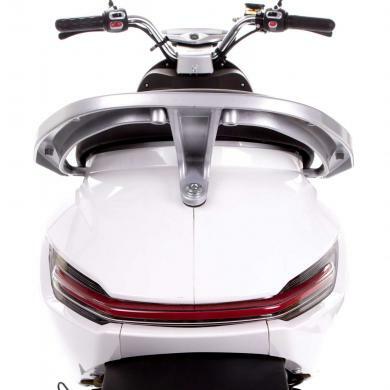 SXT Buddy V2 compact escooter with only 13,7 kg total weight, 650 W max. 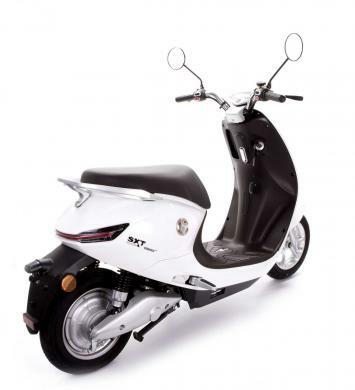 SXT Gekko V3 - the new star on SXT Scooters electric scooter sky. The new member of our scooter family has a lot to offer. In addition to the new design, the new LED front light with its futuristic design immediately catches the eye. 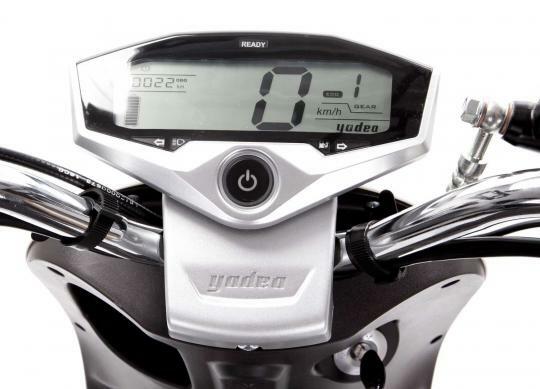 A large, easy-to-read LCD on which the current speed level, battery charge status, speed, mileage, etc. 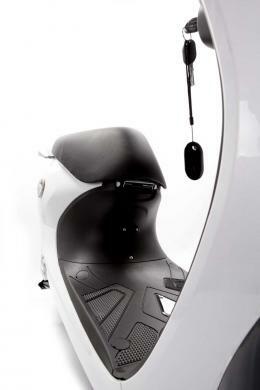 can be read, a comfortable seat which offers space for drivers and passengers with a payload of max. 150 kg, further up to also futuristic designed LED tail light including turn signals. In addition to these external values, the Gekko V3 also has a lot to offer technically. The vehicle has the so-called Keyless-Go function. 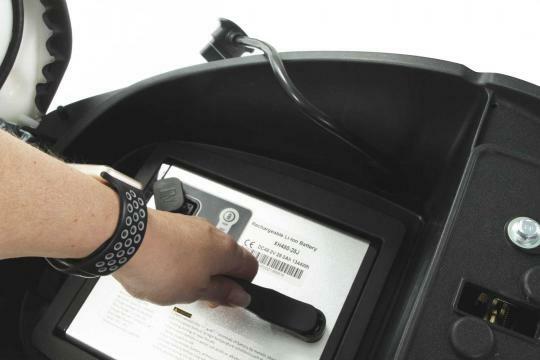 The scooter detects when the driver approaches with the key in his pocket and can be activated by pressing a button without having to insert the key into the ignition lock. The whole works the other way round, too. If you leave the vehicle for more than approx. 3m, this automatically deactivates and switches to a lock mode. The SXT Gekko V3 also has an alarm system and immobilizer which is activated simultaneously and automatically when leaving the vehicle by the Keyless-Go technology. 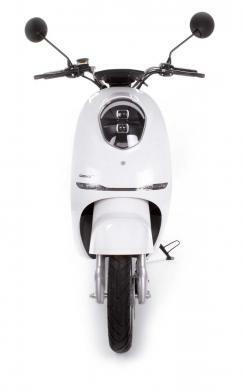 As an option, we have fitted the new scooter with a USB charging socket for mobile devices. 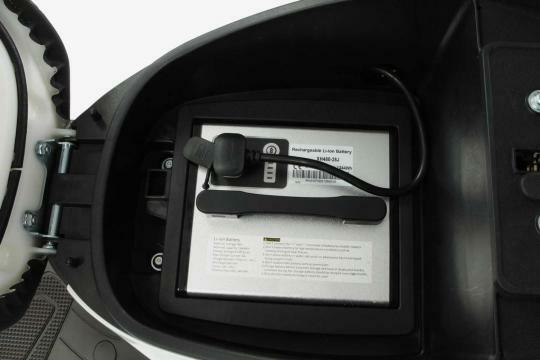 The power supply of the 48V system is handled by a 28 Ah lithium ion battery pack which, if desired, can be quickly and easily removed from under the seat on the handle and be externally charged. The charging time with the supplied charger is about 6 hours. 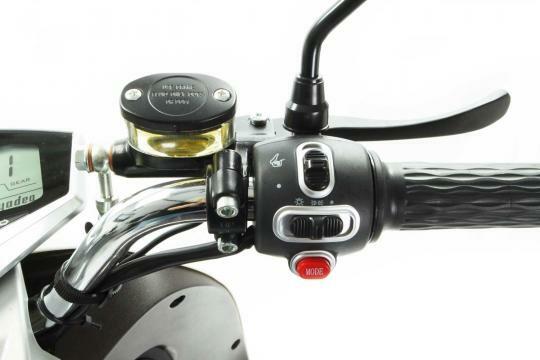 The brushless hub motor built into the rear wheel with a torque of 80 Nm accelerates the vehicle to its max. speed ​​of 45 km/h with a max. power of 2000W. The electric scooter has 2 different speed levels to save energy in ECO mode with reduced power and to reach the maximum range of up to 50 km. The max. speed ​​of the vehicle can be also technically throttled to 25 km/h in order to use it for example in Germany requiring the mofa driving license / test certificate. 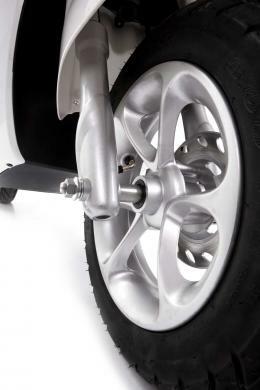 The brake system of the SXT Gekko V3 consists of a front hydraulic disc brake system and a drum brake on the rear wheel. 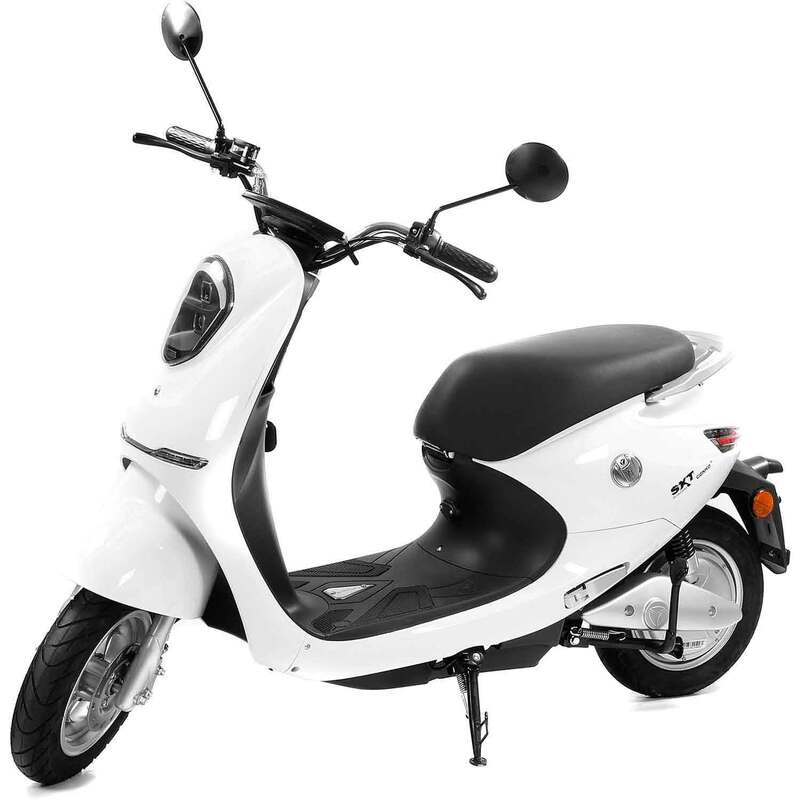 IMPORTANT: This scooter model is EEC certified meaning street-legal in whole Europe. Inside Germany there is a driving license required - from 16 years with driving license class A1, M; from 18 years with each driving license of classes 1a, 1, 2, 3, A, B or C. Should you be located outside Germany please check your national rules and regulations in regards to required driving licenses. The delivery of this escooter model arrives 100% fully built up and ready to drive.